If you’re one of the many residents of the Boston area who likes to spend rare warm evenings out on the porch, you’re probably familiar with the interruptions that come with it: the scream of an airplane zipping overhead every few minutes, headed to or from Logan International Airport. Thanks to more precise navigation software, airplane noise has become concentrated over several routes like these around the country, with certain neighborhoods seeing plane after plane roar overhead all day. 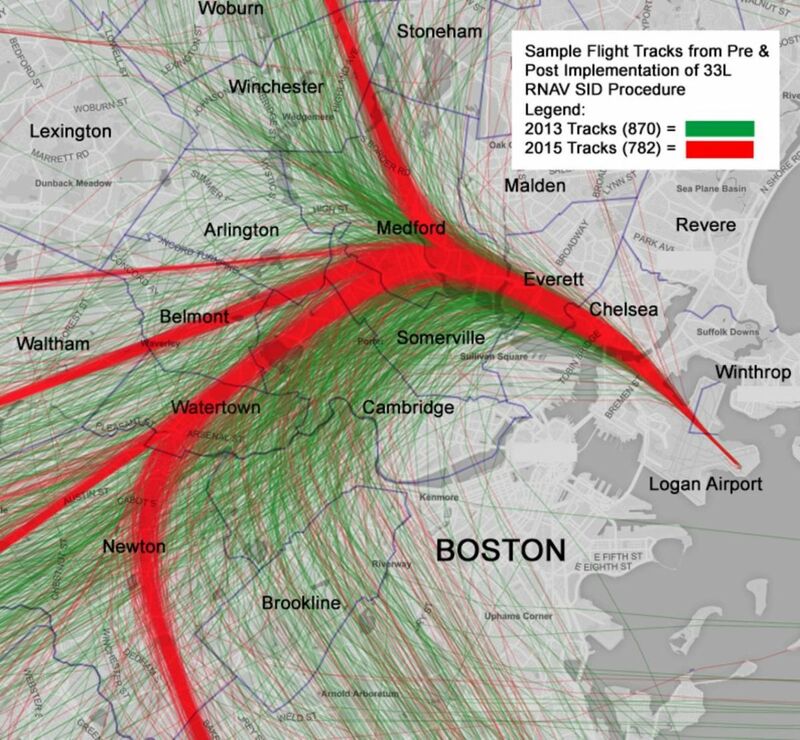 After studying this problem around Boston, one Massachusetts Institute of Technology (MIT) professor suggested a simple solution: just slow the planes down. In a study jointly funded by the Massachusetts Port Authority (Massport) and MIT, aeronautics professor John Hansman found that slowing the speed of departing aircraft by just 30 knots (about 34 miles per hour) would significantly reduce noise heard below. For a typical Boeing 737, Hansman estimates the slowdown would add only about 30 seconds to its climb to 3 kilometers (10,000 feet), and burn roughly seven additional gallons of jet fuel. Community efforts seem to suggest that it would be worth the time and slight increase in expense. Neighborhoods across the country are already fighting the routes brought on by precision software, so much so that Chicago has experimented with rotating runways and Phoenix has sued the Federal Aviation Administration (FAA). Yet there’s one factor that the MIT study doesn’t seem to have considered: the environment. Air travel is widely cited as one of the biggest contributors to global greenhouse gas emissions. Boston’s Logan airport alone sees an average of 16,500 departing flights monthly; if every plane experienced the same fuel increase Hansman expects for a 737, that would mean an extra 115,500 gallons of jet fuel burned every month. Going by U.S. Energy Information Association (EIA) estimates, that means a over 1100 additional tonnes of carbon dioxide released into the atmosphere monthly — from one airport alone. An FAA working group is currently evaluating the recommendations of the MIT study, and considering slowing departing jets from a speed of 250 to 220 knots (288 to 253 miles per hour). Certainly, there’s no need for millions of people to spend their lives waking up to the deafening roar of passing planes. 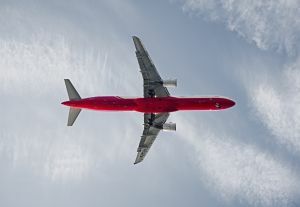 Yet given that we already know climate change will have an outsize impact on future generations — even making air travel itself more difficult and expensive — here’s hoping aviation experts can find a way to strike a balance between quieter skies and a healthier planet.